The 2009 edition of the Bosna chess tournament will take place 8-18 May in Sarajevo. Six strong grandmasters will participate in the event. 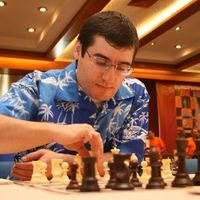 Top seeded is GM Sergei Movsesian (SVK, ELO 2747), who will compete with GM Wang Hao (CHN, ELO 2696), GM Pavel Eljanov (UKR, ELO 2693), GM Pentala Harikrishna (IND, ELO 2686), GM Ivan Sokolov (NED, ELO 2669), and GM Borki Predojevic (BIH, ELO 2652). This makes the tournament category 18 with average rating 2691. This will be second participation in row for Movsesian, Sokolov, and Predojevic, they were in last year’s event as well. The tournament will be a double round robin, with a similar format to the Mtel Masters. The first round starts on the 8th at 14:00 local time. Rounds will be played daily, with the 12th of May a rest day. The first round of the Balkan Grand Prix will take place immediately after the Bosna 2009 chess tournament. It will feature a prize fund of over 10 000 eur. The last meeting of the BALC (Balkan Chess Association) was during the match Kamsky – Topalov.